The classic Garden Games Hi-Tower has been hugely popular ever since it was first introduced to the outdoor toy market in 90's. The Hi-Tower is based on and shares the same objective as the table-top classic game. 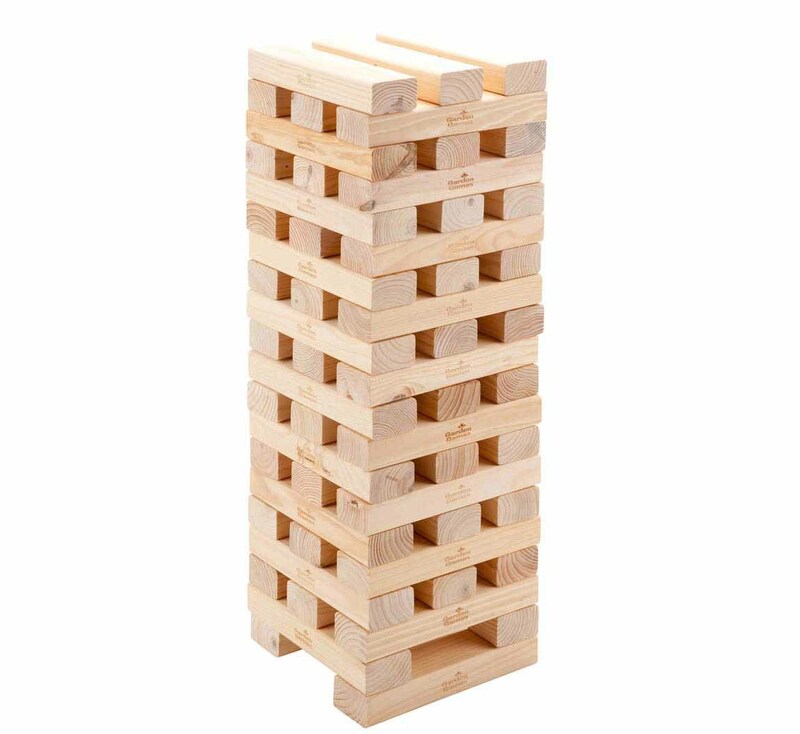 Each player must think tactically when deciding upon which block to remove from the tower, trying to complicate their opponents and force errors. 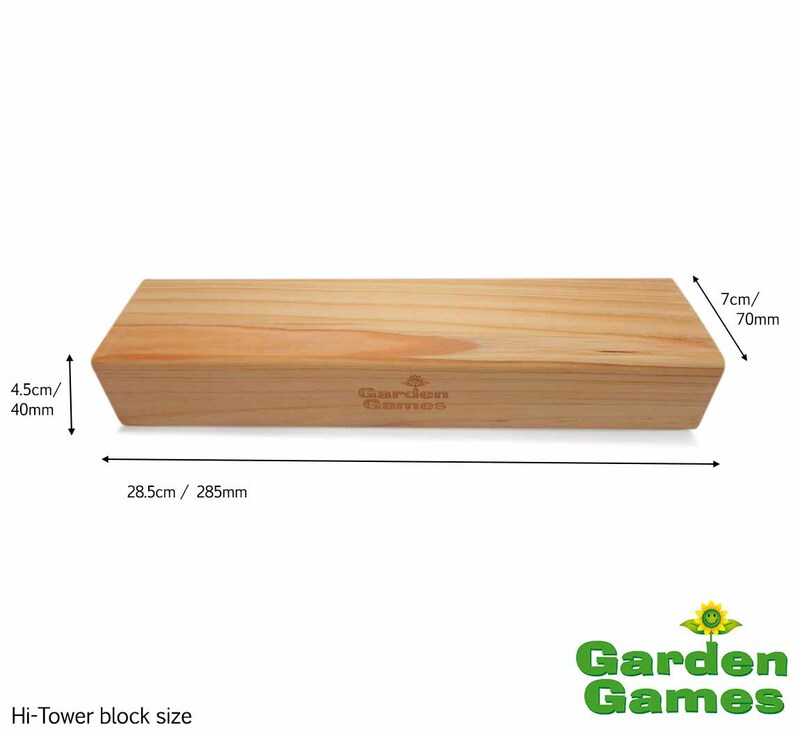 The Garden Games Hi-Tower game comes with 58 strong and robust wooden blocks, which are made from high quality pine. The Hi-Tower structure builds from 0.9m (3ft 6in) at the beginning of the game, but can build to a massive 2m in play (average game play). If this tower seems a little too big for you, try the Giant Tower.